So let’s continue with our discussion about measuring SAP usability and focus on what we can learn from your SAP users, the transactions they are executing, and information about the volume and complexity of these transactions. Let’s call it … Business Value Assessment 2.0 or “BVA 2.0”. So in the next couple of blog writings, we’ll discuss BVA 2.0’s impact on transactions (this discussion), impact on users and your company (the next discussion). BVA 2.0 – What is it? How does BVA 2.0 work? 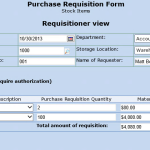 The data gathered provides a basis for understanding your company’s current SAP transaction processing environment. This data includes the SAP transaction (TCODE), the user who executed this transaction (USER), the number of times this transaction was executed in the period (# of TIMES), and the number of steps (or screens) that were processed for each of those SAP transactions (# of STEPS). 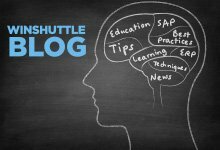 Additionally, the analysis sets up two variables used to establish thresholds to help define the key SAP transactions for Winshuttle optimization - which are complexity and usage. Complexity – Complexity is determined by dividing the # of steps (screens) processed by the number of times (or the number of transaction executions.) The assumption is that the higher the number – the more complex the transaction. In this example, the threshold for high complexity is set at 12 screens/fields to navigate to complete a single SAP transaction. Usage – Usage is factored by dividing # of times that a transaction is executed by the user count. This ratio helps to determine the high volume/frequency transactions. For example, the following thresholds can be adjusted for the given timeframe of the report data received (e.g. whether it is a weekly or a monthly collection of data) or to identify ‘super-power’ transactions for example. In this example the thresholds for complexity and usage are highlighted to the left. The following table illustrates those Tcodes that meet BOTH the high complexity threshold set and the high frequency volume (or usage) threshold(s) or they meet the usage threshold only. Additionally, this table links the Winshuttle transaction database and related average time savings to ABC’s identified transactions in order to understand potential FTE days saved. Sorted by FTE savings, these represent the top transactions for Winshuttle optimization across the organization. Why should BVA 2.0 be important to me? Presenting the financial rationale for improving SAP business processes and overall ERP usability is a critical deliverable for justifying resource commitments for SAP business process development, deployment and ongoing enhancements. Winshuttle’s UBVA program is a methodology that analyzes existing SAP business transactions and provides a set of diagnostics related to SAP process improvement. Using the results from the UBVA report, decision makers can easily identify key business processes that will result in a more efficient SAP operating environment across all SAP modules. Our next discussion will center on how BVA 2.0 helps us to understand the SAP user transaction levels based on power and casual user identification… Stay tuned!